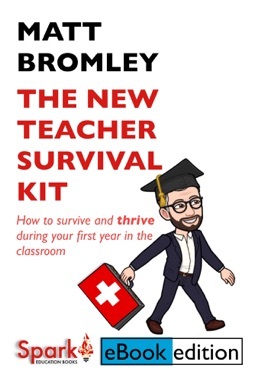 The New Teacher Survival Kit is a teacher-training ‘bible’ from the best-selling author of How to Become a School Leader, The IQ Myth, and Teach. This book is the perfect companion whether you’re contemplating training to be a teacher, have already embarked upon a teacher-training programme, or are working as a newly- or recently-qualified teacher in a school. It offers practical advice on how to make a good first impression with staff, students and parents, as well as how to develop your ‘presence’ in the classroom, create a positive learning environment, and manage your workload. It explains how the English education system works, including its curriculum and qualifications framework, and provides tangible tips on how to be a good form tutor and how to fulfil your legal duties including health and safety, safeguarding, and supporting students with SEND. The New Teacher Survival Kit is a ‘one stop shop’ of strategies on behaviour management, curriculum design and lesson planning, and pedagogy and practice.